October 1 – new beginnings! OK, September is over. My pain has started on 09/11, early in the morning, and today was the first day that I can say I’ve done some actual work. I spent some time at the computer, I spent some time at my sewing machine – but not as much as I wanted, my shoulder/back is still not strong enough – and I started a new project. Ha! I just hope the pain does not come back tomorrow. I had some ups and downs last week. Hopefully, it is going to be ups from now on. I have been wanting to try my new free-motion foot. I bought it the same day the pain started. I had to go grocery shopping (alone with the kids for two weeks) and a sewing store was very close, so I dropped by. 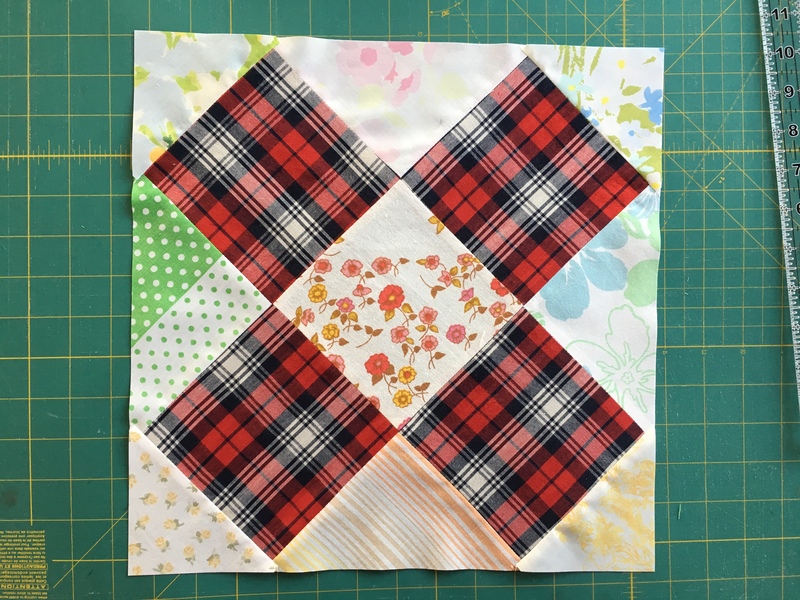 I was actually looking for a 1/4 in foot – I had just started the Tokyo Subway Map Quilt-along and realized I really needed that foot, because my seams were not consistently 1/4 inch. They did not have it – well, not for my machine anyway. Then I asked about the darning foot – they had one but I wasn’t sure whether it would fit my machine. No return policy, but I got it anyway. It fits. Ha! 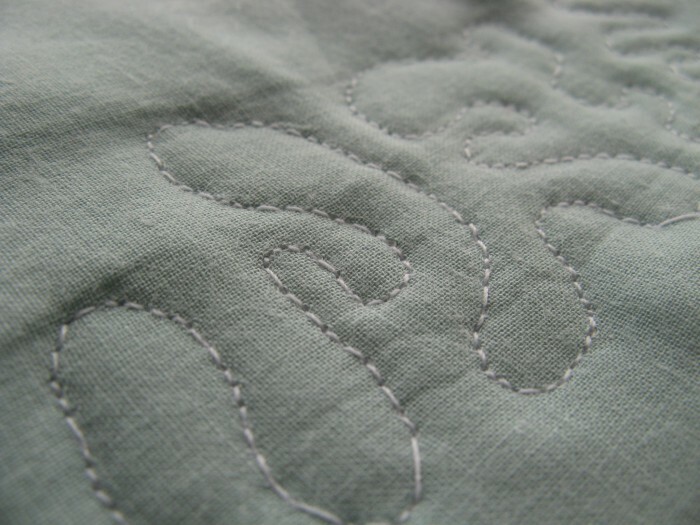 This was my second attempt at some free motion quilting. It wasn’t too bad, actually I think it could be quite fun. I just could not sit at the machine long enough, yet, to do more. I had some trouble moving the quilt (just a small test quilt – potholder size) at the same pace, so the stitches are not even. But it’s not TOO bad. Looking forward to doing more of it. 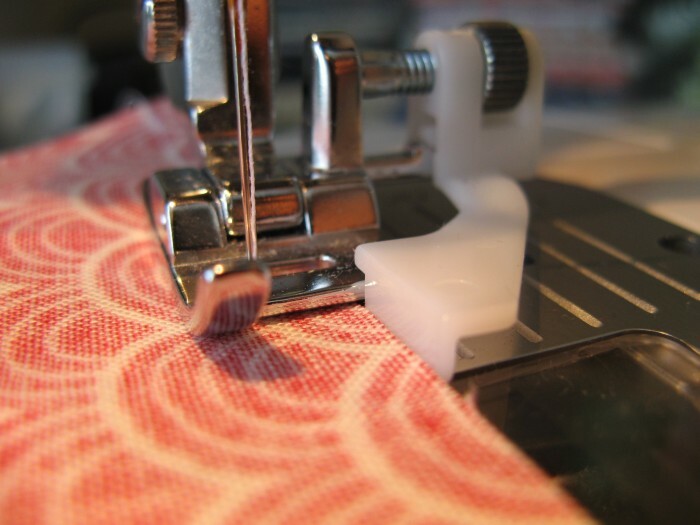 This entry was posted in making, quilting, sewing on October 1, 2010 by flekka.